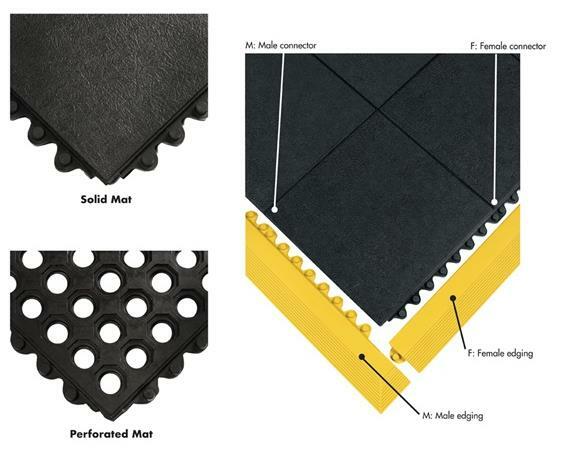 The 24/Seven® is a collection of high performance, 3' x 3', interconnecting rubber anti-fatigue mats. 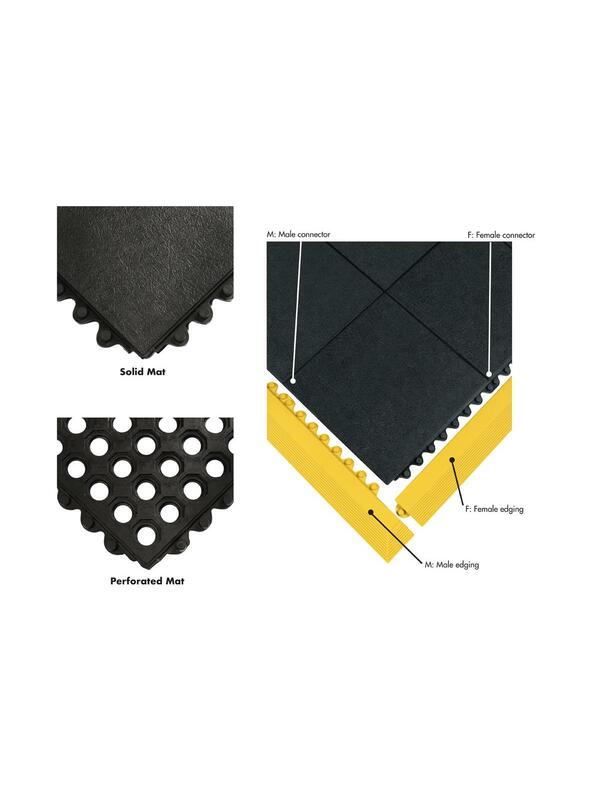 Resilient modular mats are 5/8" thick and tough enough to handle 24/7 shift operations. Because of its modularity, can be combined to cover large flooring areas. Available with a wide variety of options. Three different rubber compounds provide resistance against grease (GR), cutting fluid (CFR), and the most resistant, petroleum-based fluids (NBR). Choose from a solid mat design for drier areas or a perforated 15/16" hole variation to maximize drainage in wet workspaces. GRITSHIELD™ material can also be added to increase traction, if needed. FOB Shipping Point.